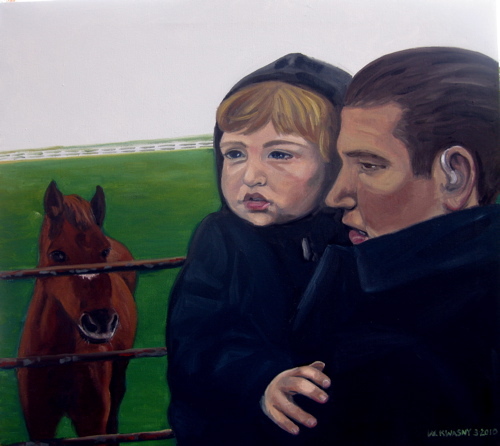 I have recently finished a painting of my husband and son. This is from a trip we took to Lodi a few months back. We would take a walk every foggy morning to the back of the large property and pet the horses that were separated from us by a metal barrier. The horses were very friendly and we loved visiting with them.